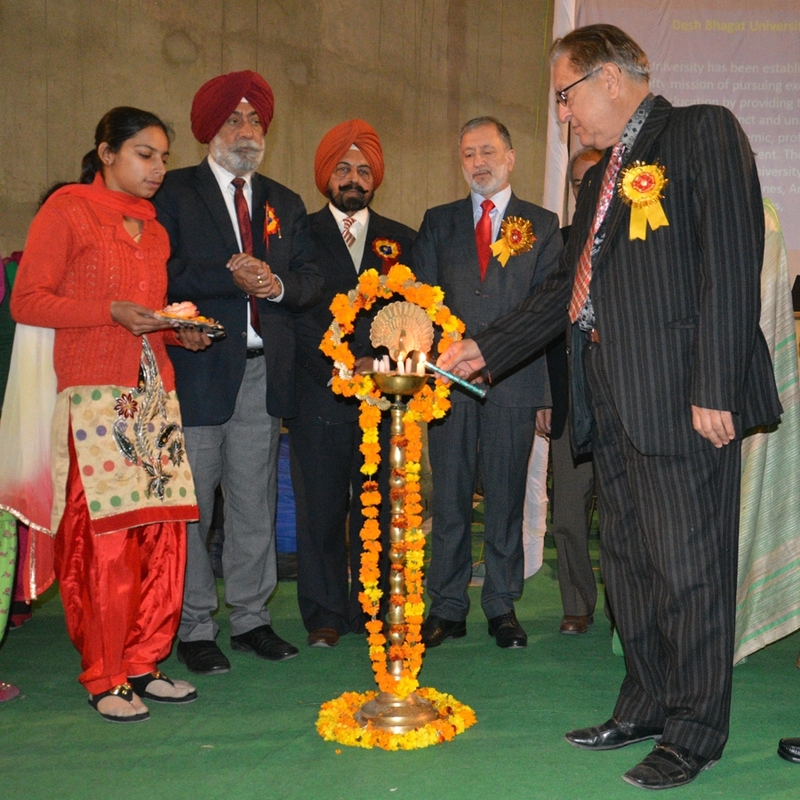 The 18th Punjab Science Congress began at Desh Bhagat University today with full fervour and zest. The three day event is being organised in collaboration with Punjab Academy of Sciences under the theme "Innovative Trends of Science & Technology in Current Scenario”. A large number of Scientists, Research Scholars, Teachers, Students and representatives of Industry from all over Punjab and some other states are participating in this event. Welcoming the chief guest, other guests and delegates University Chancellor Dr. Zora Singh said that during this three day event, participant will be presenting their research papers and posters in Agriculture Sciences, Food & Sugar Technologies, Bio Sciences, Mathematical Sciences, Nanotechnology, Medical, Veterinary and Pharmaceutical Sciences, all branches of Engineering and Technology. Speaking on the occasion he stressed the need for more active participation of youth in scientific research and development programmes to make our country stronger in the field of science and technology. While inaugurating the event, Dr. S. K. Salwan (Chairman, Armament Research Board, Ministry of Defence, Govt. of India) asserted that science is the basis of our life and we must adopt scientific thinking if we want to keep pace with the rest of the world. Dr. R.C. Sobti, (Vice-Chancellor, Babasaheb Bhimrao Ambedkar University, Lucknow) delivered the inaugural address and urged the scientists to develop latest techniques and innovative projects to benefit every section of the society. He also appreciated the initiative taken by the university in organizing this event. Dr. Santokh S. Badesha (Executive Director, Xerox Corporation, USA) was the key-note speaker on this occasion. Earlier, University Vice Chancellor Dr. Shalini Gupta apprised the audience about the important contribution being made by Desh Bhagat University in imparting professional and technical education in the state. 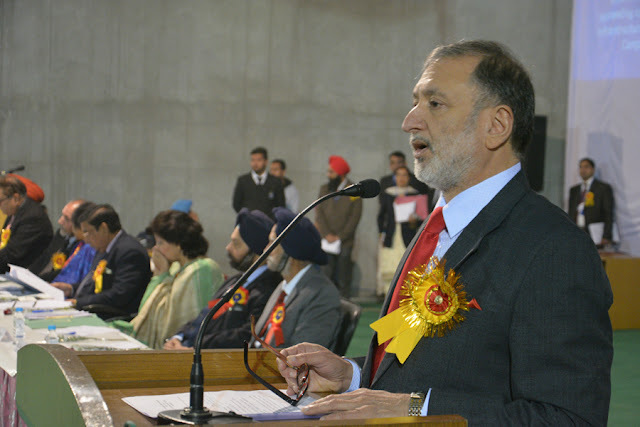 Presiding over the function, Dr. S.S. Gosal, (President, the Punjab Academy of Sciences) explained the objectives of the academy and shared his views with the students on a number of scientific subjects. Dr. I. J.S. Bansal (Founder President, Punjab Academy of Sciences) and Dr. S.S. Gill (Former Vice Chancellor, Baba Farid University of Health Sciences, Faridkot) graced the inaugural function as guests of honour. On this occasion, Dr. Manmohan Singh (Cardiologist, Rajindra Hospital, Patiala) was honoured with Bhagwan Das Arora Oration Award. Dr. Raj Bahadur (Vice Chancellor, Baba Farid University of Health Science, Faridkot) was honoured with Desh Bhagat Sardar Lal Singh Oration Award. Dr. R.K. Kohli (Vice Chancellor, Central University, Bathinda), Dr. Kuldeep Singh Dhindsa, (Chemistry), Dr. T.S. Kaler (Cardiologist), Dr.Neelam Kaler (Neonatologists), were honoured with Honorary Fellowship. NRI Mr. Jujhar Singh from Hong Kong was honoured with first Desh Bhagat Rattan Award for his exemplary honesty. He returned to its rightful owner's precious stones worth One Lakh Hong Kong Dollars which were left in a bag in his shop, showing his immaculate character and making all Punjabis and Indians proud. While proposing a vote of thanks, Pro Chancellor Tejinder Kaur expressed pleasure over the overwhelming response the event has got from delegates and hoped that the faculty and the students of DBU will benefit a lot from this sciencecongress. Registrar Dr. Virinder Singh, Organising Secretary of the event and Director Academic Dr. Rajesh Goyal, directors of different university faculties, members of the staff and a large number of students were present on this occasion.